Whether you’re a full-time working parent or you stay at home, there are so many tasks that surely fill up your day. Sometimes, it can happen that meal planning and preparation end up taking a back seat. Do you end up ordering pizza or buying take-out food for dinner? While these may be convenient, they may not be your family’s best options for nutritious food. As a good alternative, you may want to look into subscription meal kits. Here’s what you need to know before you purchase a subscription. Subscription meal kits open up your family to trying out a wide variety of cuisines. The main appeal of meal kits is that you get the opportunity to explore new dishes from a wide variety of cuisines. As a family, you can list down each member’s food preferences. Then, make a separate list of the dishes each family member would be interested to try out. When you try a meal subscription such as Blue Apron, you’ll be able to try dishes that you never would have thought you could try at home. Some examples of interesting cuisines are Mexican, Thai, or even something as specific as Greek vegan options. The wide variety of options gives you the freedom to be as adventurous as possible. You likewise get to choose whether you prefer stovetop dishes or quick-cook meals, especially if you and your loved ones lead very busy lifestyles. Moreover, you may specify if you only want gluten-free, organic, and vegan options. If you decide to include desserts, subscription meal kits offer a good range of choices for you to pick from. It’s really up to you to define the parameters of the menus to be prepared for you. Also, you get to pre-approve everything before these are prepared and shipped to you. Meal subscriptions give you flexibility in terms of schedules as well as a number of servings. Subscription meal kits are usually delivered to you on a weekly basis, and if you wish, you may commit to a regularly occurring weekly subscription. A subscription may contain two to five meals per week. This can help you decide on the frequency or schedule of your delivery. You may also define how many servings are to be included in each meal, to accommodate the varying numbers of family members. In addition to convenience, another main theme of subscription meal kits is flexibility. If you have hectic schedules, having a customizable, dependable and predictable food kit service will be a huge relief. You likewise have the added benefit of eating more nutritious meals with greater variety. You may have meals delivered to the location most convenient for you. Aside from the flexible delivery schedules, you can determine where the packages are to be delivered. Are you working a full-time job that’s far from your place of residence? If so, you may have the packages delivered to your workplace, removing the worry of having packages lying outside your doorstep and risking spoilage. Another possibility is to have your food delivered to your neighbor, relative or friend who can store and refrigerate it in the meantime. You need to consider your appetite as well as the appetite of the other members of your family before you place your orders. A meal kit is variable and can differ from customer to customer in the size of serving per meal. For some people, the serving size may be enough to qualify as a full meal while there are individuals with heavier appetites who will most likely wish for more. Clarify the sizes of servings before you decide on how many servings to order. You may try the basic servings at first in order to gauge how these will fit you and your family’s usual appetites, and then you may adjust by adding to the number of servings for future orders. Subscription meal kits may be tailor-fit to help you meet your health and fitness goals. For those of you who have health goals which include a strict diet and food intake restrictions, a subscription meal kit can easily remove the stress and hassle of deciding which meals to purchase or prepare. You save time as well when you don’t need to search and shop for individual ingredients. When you place your orders, you may tell the provider that you need a high-protein diet. They can then customize a specific diet plan for you and have the food promptly delivered to your doorstep. Do you have specific food allergies? 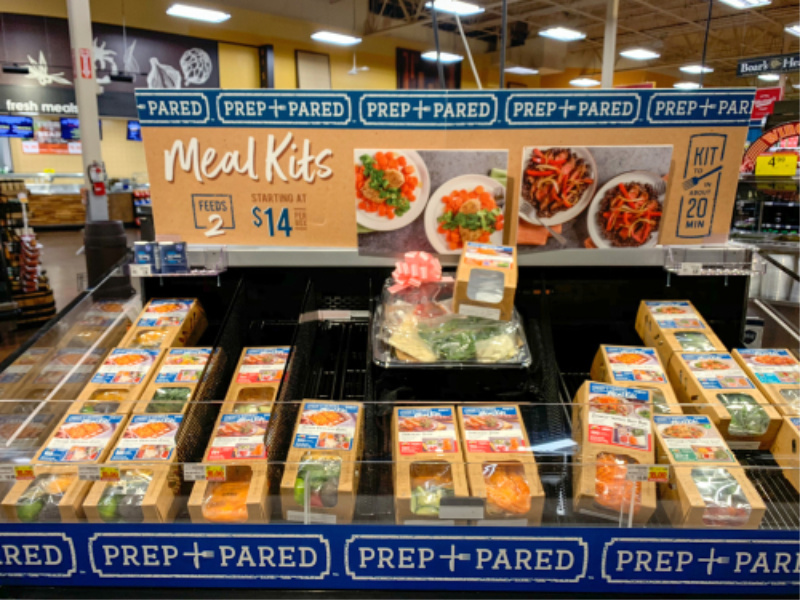 You can already stop worrying about getting the wrong ingredients, as meal kit providers have dieticians and experts on board that certify what the various meal kits contain. Even hard-to-find ingredients may be sourced for you, which solves your problem of scheduling trips to specialty stores. Aside from the excitement of getting to try out new dishes from various types of cuisine, you also get to hone your own cooking skills in a much simpler and controlled way. Meal kits have cooking instructions that come with the packages, and that cater to cooking newbies and experts alike. More importantly, ingredients are pre-packaged in the correct quantities which means you can skip the challenging task of cutting and proportioning the ingredients to the correct amount of servings.